Mindfulness, a word that has spread in the past 10 years more than it ever has, continues to be uttered by many. But what exactly is mindfulness? Why are some institutions offering courses in mindfulness, or employers insisting on training their employees in this subject? The reason is one: it is a powerful tool and the way to grasp this power is through practicing it. 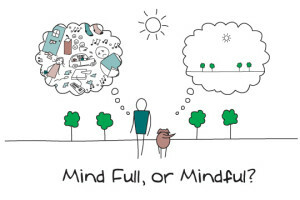 Mindfulness simply implies being present, maintaining a clear, non-judgmental connection with your current status and accepting your existing circumstances. Though it has its roots deep in Buddhism, this practice has gained popularity and has become a realistic way of freeing the mind and a major step that relieves stress and reduces suffering. Depression or stress levels tend to spring up when you are in constant struggle dealing with past events or worried about the coming future. Mindfulness encourages interaction and acceptance of the present which results in the mind responding in a more neutral and less painful fashion. The non-judgmental attitude towards our present feelings, i.e. not believing that there are ‘rights’ and ‘wrongs’ about how to think or feel, give us the ability to reduce our sensitivity and therefore the impact of the cause of the depression. Mindfulness carries with it a powerful healing effect on both mind and body. The state of embracing your predicaments and being in complete harmony with them is what sparks the healing process. Being in this state of mind such that you are hardly troubled by the necessity to seek another will enable you to identify deep internal resources that you could harness and put to use. Breaking the common mindset that you have to get away from what’s bothering you before you can attain peace is a thought that could help you in this process. It’s actually possible to accept and come to terms with emotions considered negative such as fear or agony, no matter how impossible this may seem. This will encourage better health conditions, both psychologically and physically, and is more nurturing to your life instead of living haunted by the thought that you either have to hate or love something. 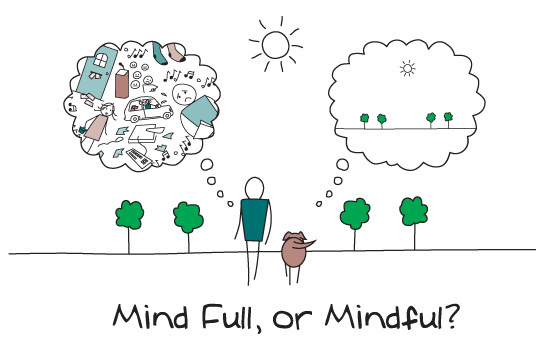 Mindfulness can rightly be described as the tool that brings joy. Practicing it increases your awareness of the healthy things life offers and by paying close attention to the present, you’ll enjoy them even better. A jog with your dog, or carrying your child to sleep will seem much more than just that, and the fact that you won’t be in any hurry to move to the next task on your to-do list will ensure that maximum enjoyment and satisfaction is achieved. It’s now a proven fact that being mindful unleashes the better part of you and this practice is now being adopted in medical centers and institutions across the globe. It’s one of the greatest gifts we’ve been entrusted with to handle life, but unfortunately, very few of us do so. It’s about time we put an end to this, accept our present without modelling our lives according to hard and fast rules that we have created ourselves.